Among all the other options of debt relief, credit counseling is something that can really benefit you. Debt is caused by a lot of mistakes that you made in the past and credit counseling will really help you get a clear picture of what you did wrong. More than just creating a payment plan that will get you out of debt, you also need to deal with what got you in debt in the first place. This is where credit counseling can help. This program will provide you with the answers as that will not only get you out of debt, it will also help you understand what you have to do to keep yourself from another debt situation. That is a complete debt relief assistance and it pays to know what you can about it. 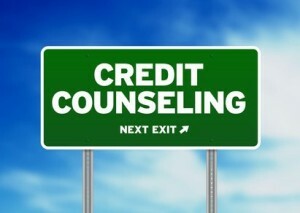 So what exactly is involved in credit counseling? This is probably the first question that you will ask yourself. This debt relief option involves a professional credit counseling agency. You will be assigned a credit counselor who will work with you on your debt. They will provide their expertise and experience to help you identify the extent of your debt problem and how you can possibly afford to pay it off. But what can they do about your debt? During the credit counseling session, there will be no direct action towards solving your debts. It will usually be about analysis, planning and education. Let us define each part. During the analysis part, you will have to provide the following to your credit counselor. List of all your debts. You can take a look at your credit report for this or the credit counselor can get a copy for you. Details of your monthly expenses. Make sure that you provide the complete list and the most near-accurate estimate that you can calculate. Net income. Provide any regular income that you receive every month. Include your salary, benefits, investments and other sources of income that will help you pay off both your debts and your monthly expenses. All of these information will help you credit counselor analyze the depth of your problem so they can advise you on how you can beat your debts. After analyzing your financial position, the credit counselor can help map out your debt relief plan. This is just a general overview of how you can get out of debt. The credit counselor will point out what options suit your debt and finances best. You can discuss your financial goals with the counselor so they will understand how your after debt situation should be. For instance, if you want to get out of debt fast, they will open up debt settlement or bankruptcy as an option – at least if your finances really cannot accommodate any other solution. If you are concerned about your credit score, they will steer you away from these programs and suggest either debt management or debt consolidation loans. You can make your selection with the guidance of the counselor. The best part of credit counseling is the education part. You will benefit from the personal finance tips like budgeting, saving and smart spending. All of these will be provided by your credit counselor so you can stay out of debt after you have implemented the debt relief plan that you will use. This is just as important because you can be assured of maintaining the debt free life that you will work hard to achieve. At this point, you may be asking, is credit counseling enough? Some people may have the resources to pay for their debts without any problems. They just needed to have a bit of direction through the counsel of a professional. In most cases, it is not. It is best partnered with another debt relief option – a program that will give you a more direct plan to pay down your debts. Apart from these information, here are other questions that may be bothering you about credit counseling. Let’s try to answer them here. How is debt management involved? Debt management is the part of credit counseling that pays off your debt. It involves the creation and implementation of a debt management plan that contains your proposed low single monthly payment to your creditors. The counselor will help you negotiate this with your creditors so they will accept this new plan. What debts can be helped by credit counseling? The counselor can give you advice about any type of debt but if you wish to use debt management, you can only use it for credit card debt, merchant cards and other unsecured personal loans. Are there fees involved? Usually, the credit counseling part is free. These agencies are supported by credit card companies. They want to provide consumers with the resources to help them pay back their debts. There are for profit companies that you can avail too. When you go for debt management, there is usually a fee of no more than $50 a month to help you manage your debt payments. If you want to look for a free credit counseling agency, you may want to start with the Consumer Credit Counseling Service or CCCS. How will it affect your credit score? In most cases, this will not affect your credit score. Sometime, creditors will mark your account with “CC” which basically means you are slow in paying your debts. But overall, creditors usually leave your report unmarked with hints about your credit counseling efforts. Am I allowed to use my credit cards? Any credit card account that you will enroll cannot be used. This is a good thing, actually, as it will help keep your debt amount low. Will the collection calls stop? Usually the calls will stop. In the first few payments, you may still receive them but as you are consistent in your contributions, it will stop.